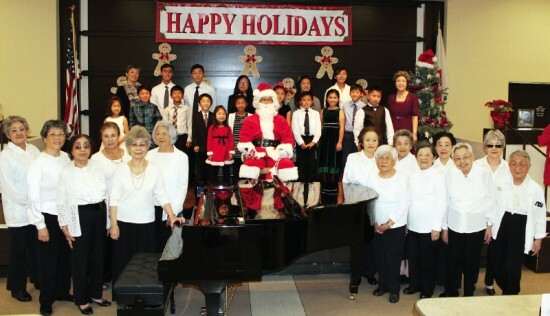 The Shibata Piano Studio held its 23rd annual winter recital at Keiro Retirement Home in Boyle Heights on Dec. 20. The recital was composed of pieces played by the young piano students, as well as a performance from the Keiro Chorus Group, and two duets performed by piano teacher Sayuri Shibata and Chorus Director Tomoko Takasugi. The recital allowed the piano students to bring Christmas cheer to the residents of the retirement home, as well as show off their musical talent. The residents, for their part, enjoyed the recital. Several of them began to hum and sing along to some of the songs that they knew. The piano students look forward to playing again next year.